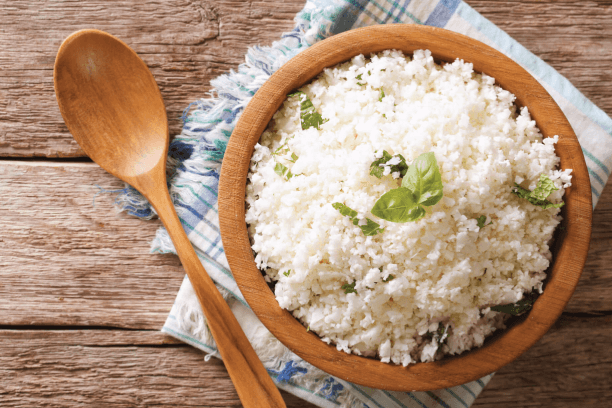 For cauliflower rice preparation- Pulse half of the large cauliflower floret into food grinder till the texture of the white rice is obtained. Add ½ tbsp of olive oil in a pan. Then add cauliflower rice along with seasonings and stir continuously for 4-5 minutes on medium-high flame. Take out the cooked rice. Add another ½ tbsp of olive oil in the pan and cook onion, shredded carrots and green peas for 4-5 minutes. Return the cauliflower rice back to the pan along with peanuts, chickpeas, and paneer. Add salt according to taste. Cook for another 4 minutes and stir often. This recipe is very healthy when it comes to having a low Glycemic index as compared to white rice.It also adds to the variety as compared to regular rice pulao.It is delicious, can be enriched with ingredients as per the choice and can be relished without any hassle.